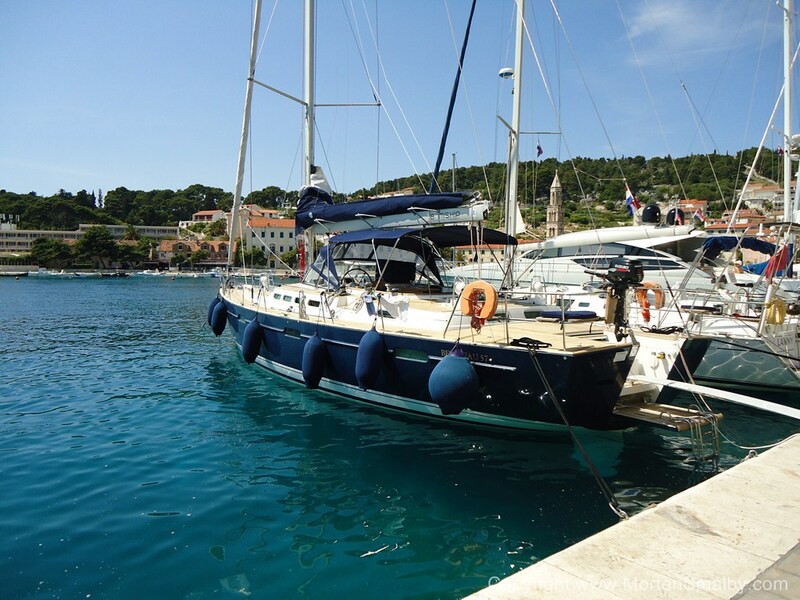 When living by the sea in Croatia, one obviously often is asked “have you been sailing”. Well, till recently my sailing experience here was limited to ferry trips and short trips on friend’s boats. So I decided it was time to refresh my childhood sailing skills by joining a sailing school. 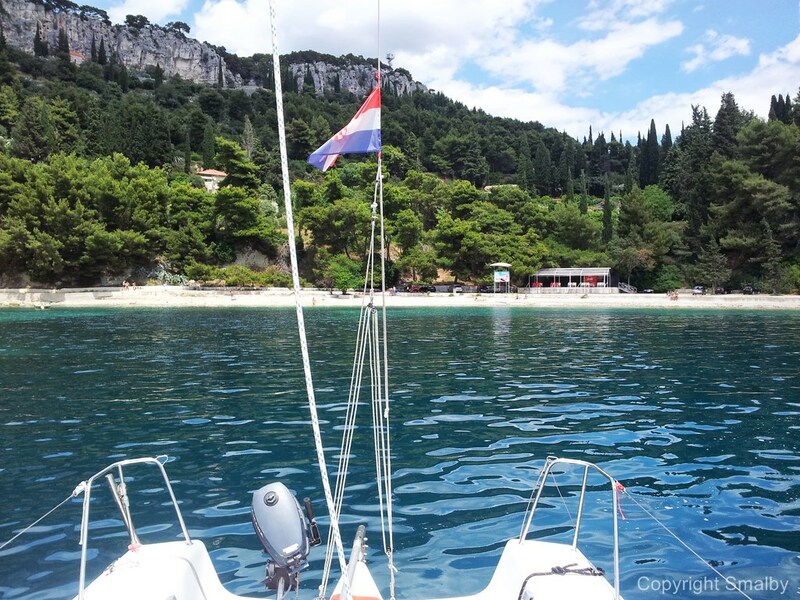 After researching I found out that there are actually quite a few sailing schools in Croatia. 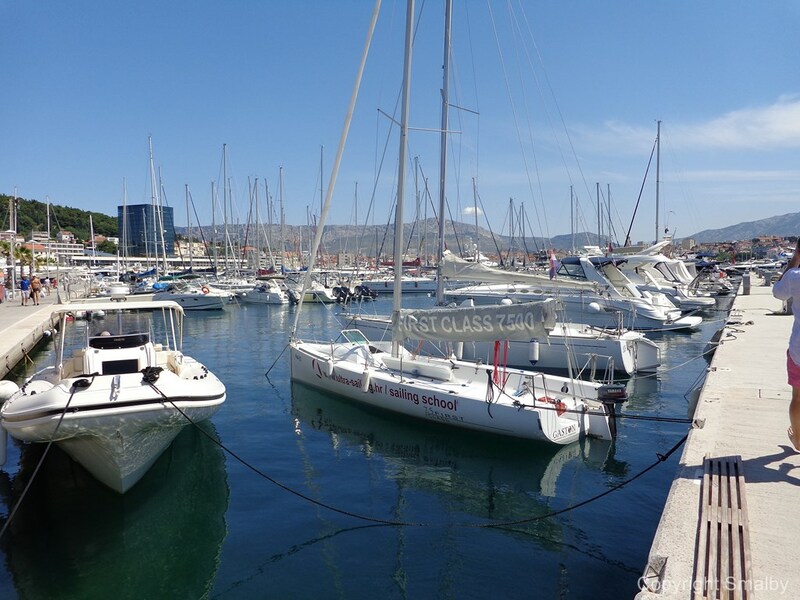 Along the coast sailing schools are offered from most of the larger marinas; as I live in Split, my search was of course narrowed down to the schools in this area. 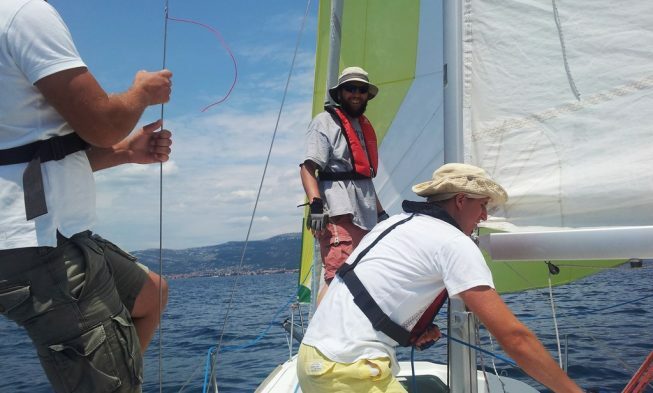 After evaluating various options, I picked a 6 days basic sailing school from www.ultra-sailing.hr which turned out to be a great choice. 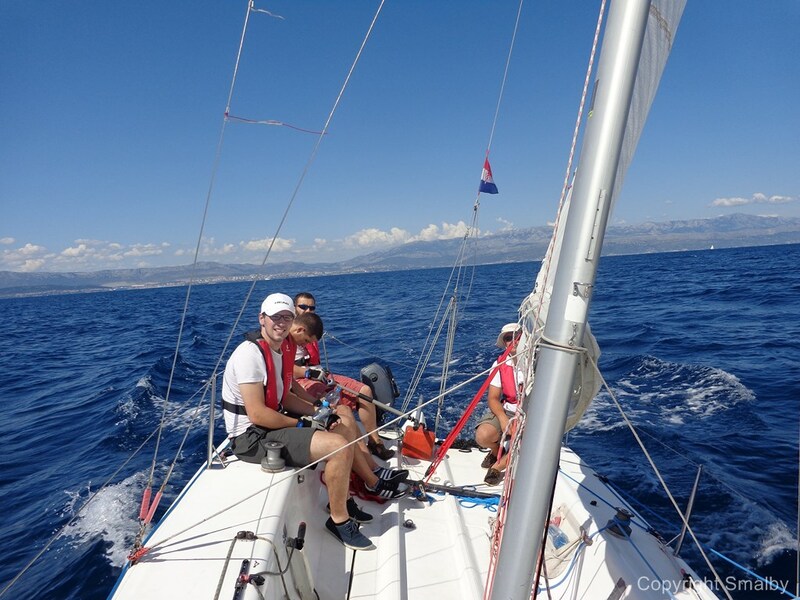 The sailing course started at a Sunday 10 am, where participants met at the Ultra Sailing locations in the ACI marina in Split. 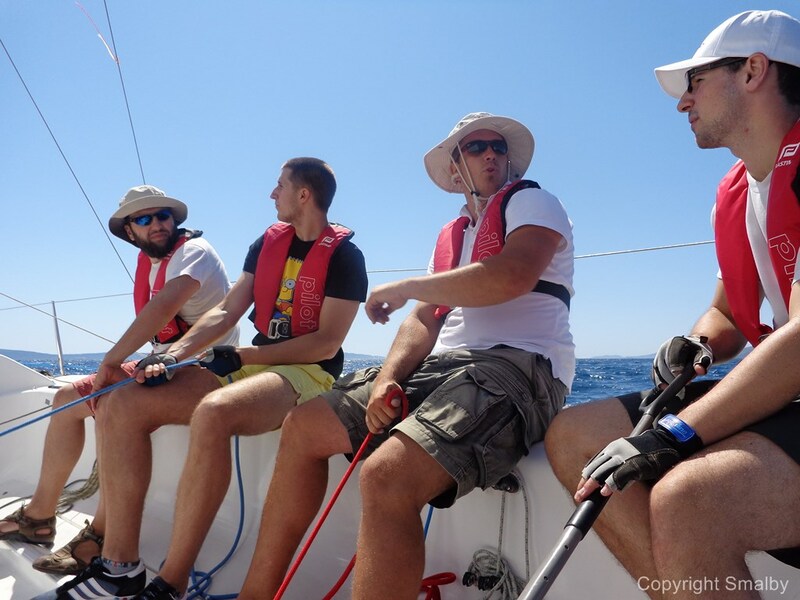 In my course there were 4 participants from 4 different countries and the Sailing school teacher Zoran. 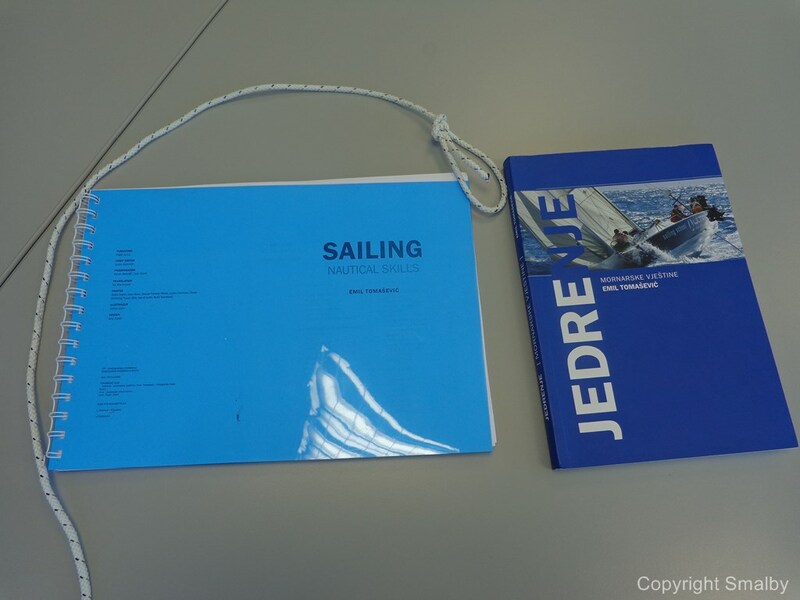 As all the formalities was clarified, we were handed out a Sailing handbook Nautical Skills (which by the way is written by the owner and founder of Ultra Sailing), a piece of robe, a lifejacket and gloves. 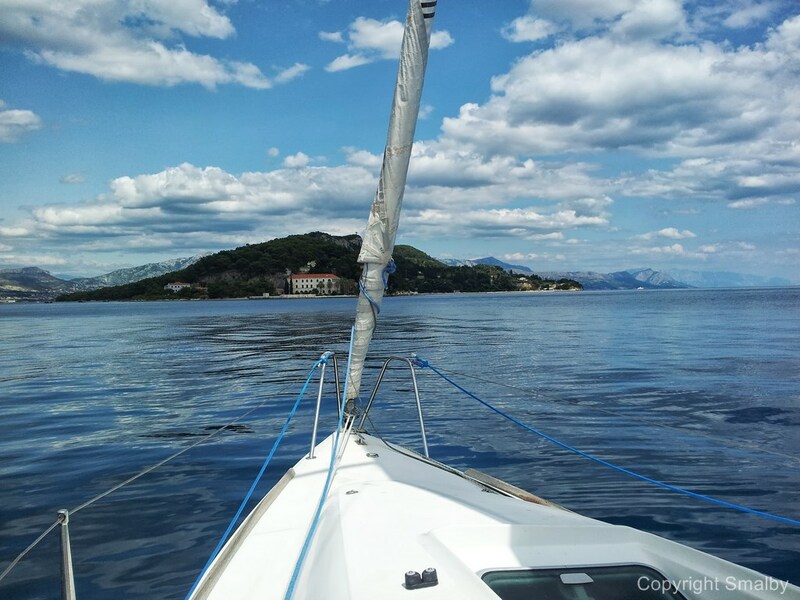 The first couple of hours we learned some basics about sailing, like the basics of how a sailing boat works and what you use the various items on the boat for. 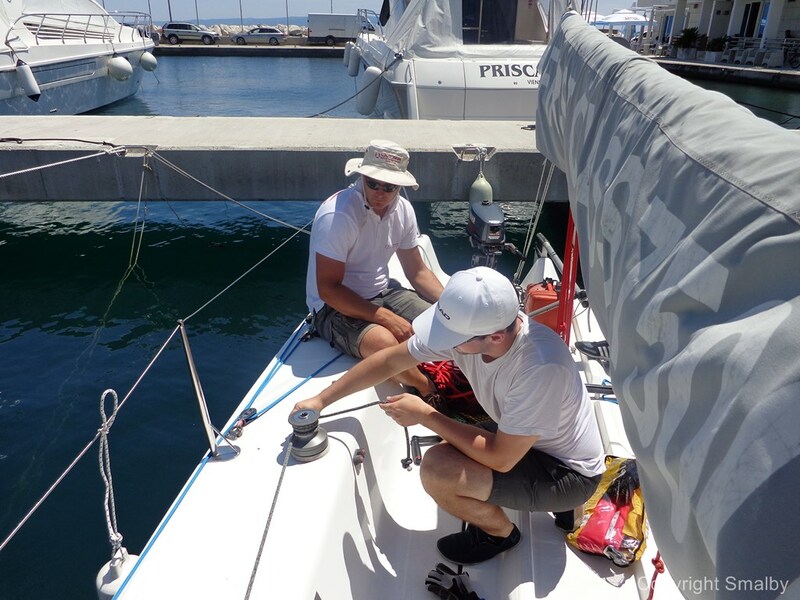 Also we practiced how to prepare the boat for leaving the harbour and, last but not least, we practiced the important knots you need when you are sailing. Afternoon it was time to get on the boat; the boat used for the basis sailing course is a Beneteau 7500, which is a light weight boat for up to 6 persons. 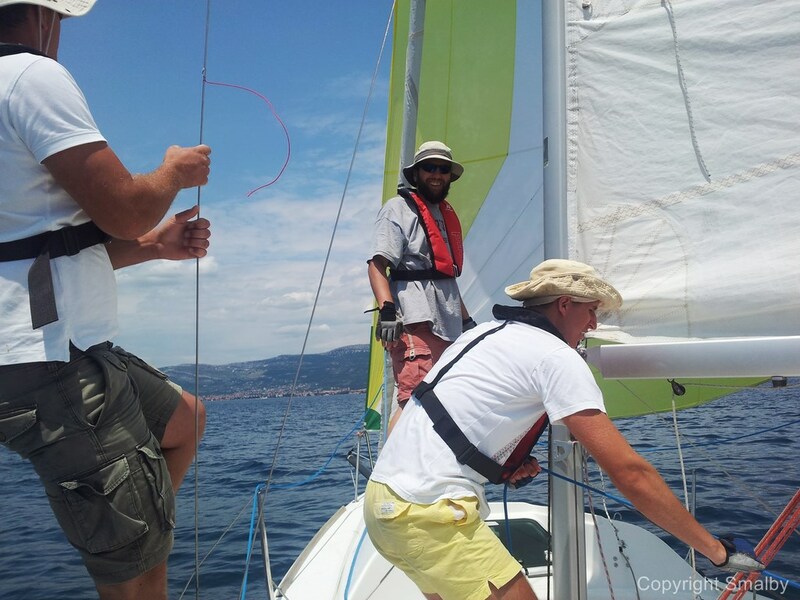 After running trough the preparation procedure we left the Marina and started preparing for setting the sails. 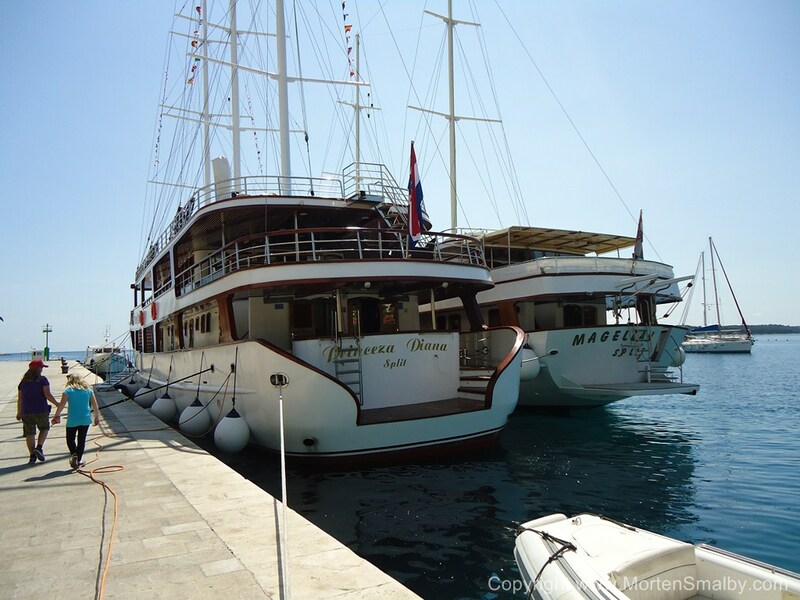 Once we had the sails up, we started a 5 hour sailing trip towards Island Solta and back. Our instructor Zoran explained to us about steering the boat sailing upwind, downwind, about how to tack and gybe, all explanations was followed by practical exercises where position of the participants (responsibility on the boat) was constantly changed so that all could try the steering, trimming the main sail etc during the various exercises. 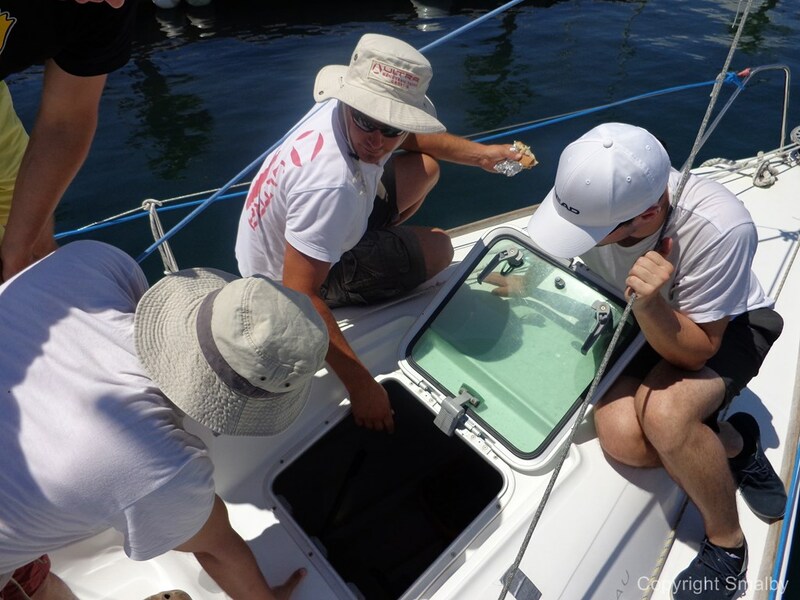 At the end of the sailing tour participants had to clean the boat so it was ready for the next days sailing. 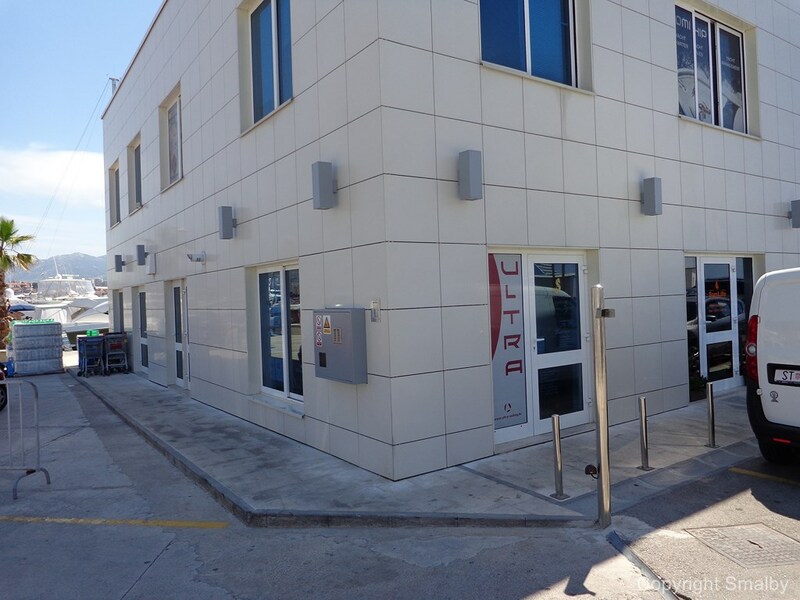 The remaining 5 days of the school were conducted according to the same pattern, first theoretical class at the base and then practicing on the sea. 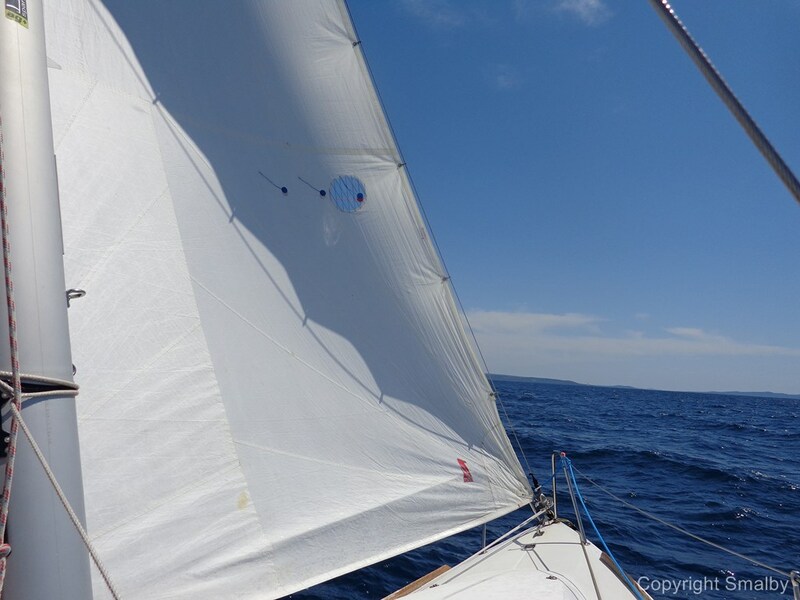 As the week progressed there was less and less corrections from our instructor when we where tacking and gybing and we gained more and more feeling for steering the boat and trimming the sails. 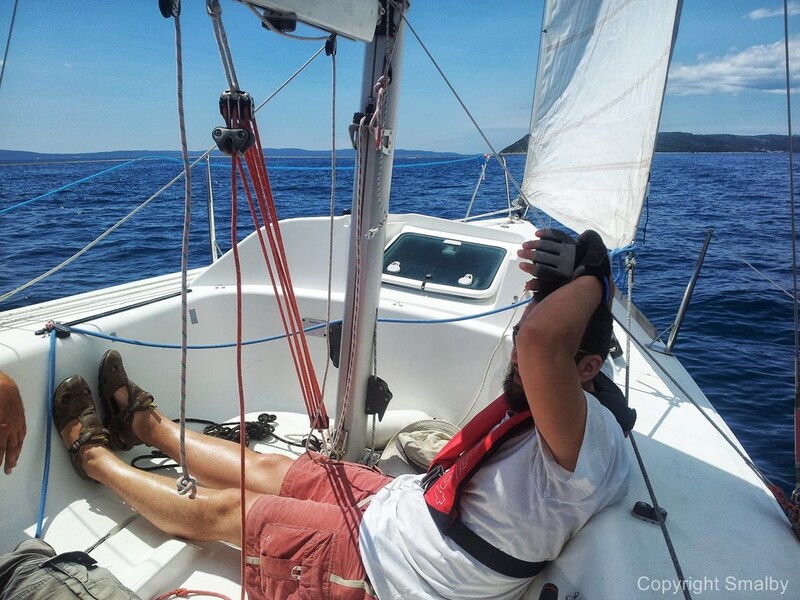 During the week, we spend about 30 hours at the sea in various wind conditions. 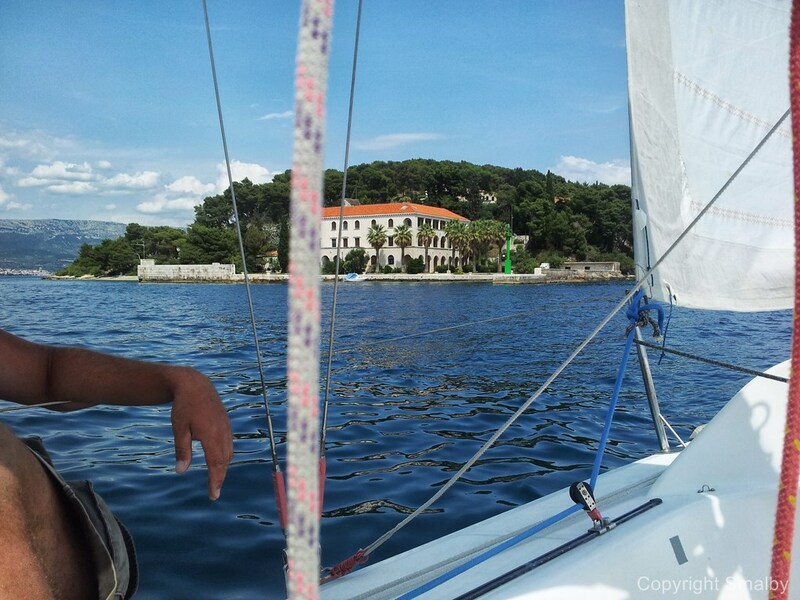 The Sailing school was for me a great way of refreshing the sailing skills (not required) I achieved in my childhood. In Zoran we had a great instructor who really kept practicing details with us over and over again, until everybody understood how it has to be done. 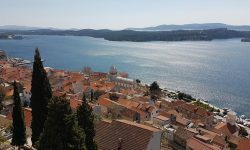 The facts that you are not staying at the school was not only great for me living in Split, but some of the other participants had brought the families to Split who then spent the day on the beach while “daddy” was learning. In the evening they then had time to enjoy the holidays together. I haven’t still decided what the next step will be, but completing this base course gives me the option to participate in the advanced sailing course from Ultra, and the sailing skills I have required should for sure also make it fairly easy to complete the local school for obtaining a skipper licence.